I am going to migrate my PC into a virtual machine. What should I check before the migration? Ethernet or Wi-Fi network adapter for migrating over network or an external storage device, such as a USB hard disk. Note: Parallels Desktop does not support migrating Windows dynamic volumes and Linux logical volumes (LVM). Make sure your PC is not using EFI/UEFI firmware interface and does not have GPT on its hard drive. Note: Parallels Desktop supports migrating computers with GPT partitions and EFI/UEFI starting from version 10. Parallels Desktop 9 and earlier do not support migrating computers with GPT partitions and EFI/UEFI and Parallels Transporter Agent will fail to detect the operating system. Press Win + R > Type diskmgmt.msc and hit Return/Enter. Check the output. If partition type is 12 or 27 it means it is a hidden partition. 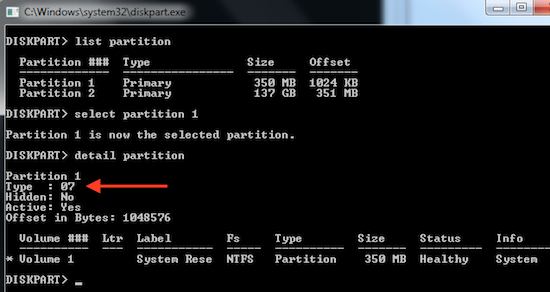 Parallels Transporter currently cannot migrate such partitions. Check your PC for viruses. Go to Start. 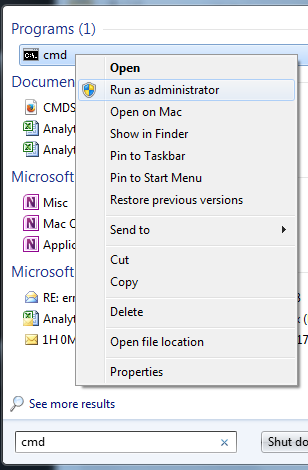 Type in the Search field cmd and then launch cmd application with administrative privileges (Right-click > Run as Administrator). In Command prompt type in sfc /scannow press Enter/Return and wait till the operation completes. press Return and wait till the operation completes. 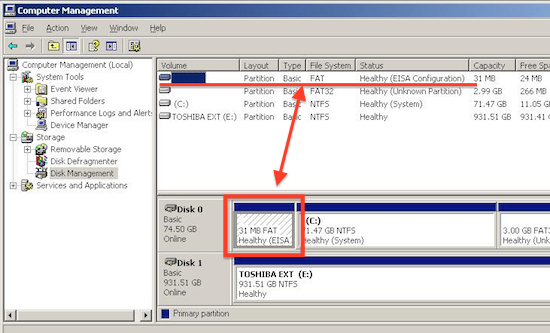 Check all hard disks installed on your PC for errors. Note: It is very important to check hard disk before the migration. Disable or even uninstall your antivirus / firewall / Internet Security solution on the PC. You may enable / reinstall them later after the migration is done. (optional) We recommend to transfer all your data like documents, pictures, music and movies to the Mac separately using Migration Assistant or manually. Also please check Apple KB #ht1408 and #ht4796. 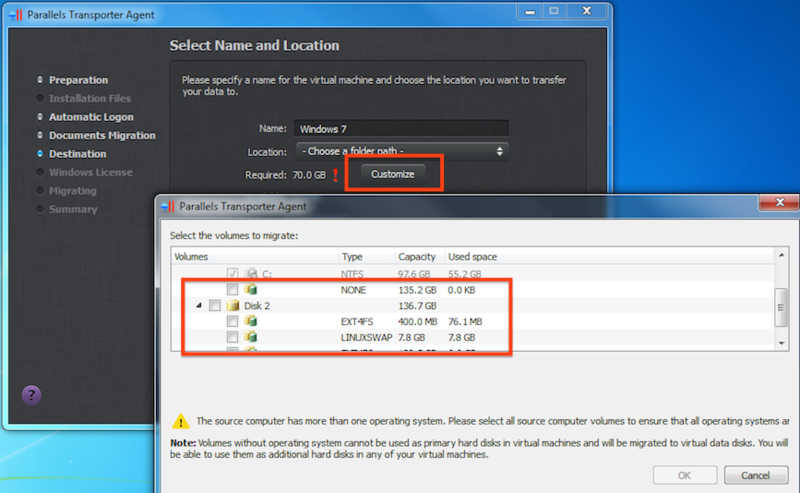 This will help to reduce the space occupied by the virtual machine on your Mac hard Disk after migration is complete. Migrate your PC to your Mac. On the Select name and location screen choose Customize. Please exclude any hidden/system/recovery partitions and also any data partitions from migration . Click OK.